The Internet as we know it could be ruined forever. Right now The Internet is a free space to explore, browse, start websites, and go anywhere you want to find information. But all this could be taken away on December 14. On December 14, The FCC (Federal Communications Commission) will be voting on taking away Title II Net Neutrality laws. Right now Net Neutrality protects people from ISP’s (Internet service providers) from charging extra for “fast lanes”, throttling your internet, blocking websites, and a lot more. 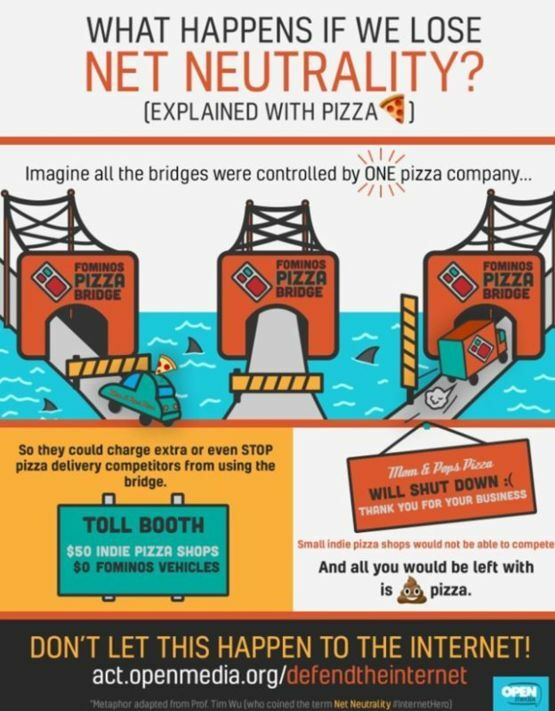 Net Neutrality simply provides an open and fair Internet to everyone. you extra for using a site, block websites, charge extra for “fast lanes”, higher prices, and slow down your internet to basically nothing. For example, Brown County School’s Tech Department blocks a ton of websites that could cause distractions in class such as Netflix, Hulu, or a website with games. Now imagine that the Tech Department is your ISP and is blocking all these websites from your home, on your internet, that you pay for. This is what could happen if Net Neutrality is taken away. to sign a petition and/or call your states representatives and tell them to not attack Net Neutrality laws.